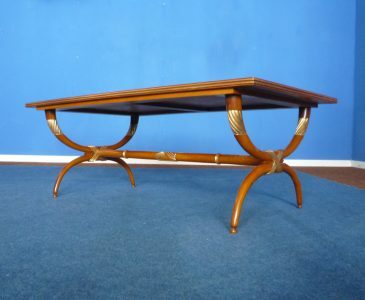 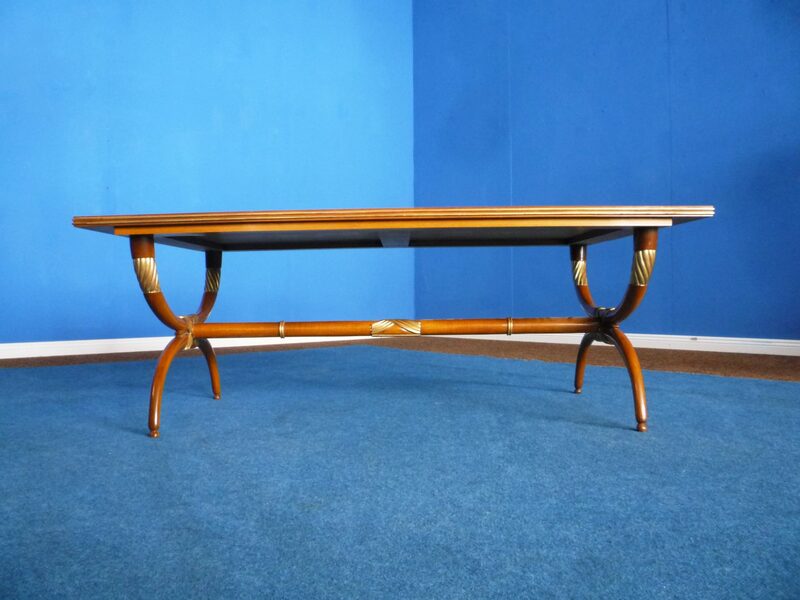 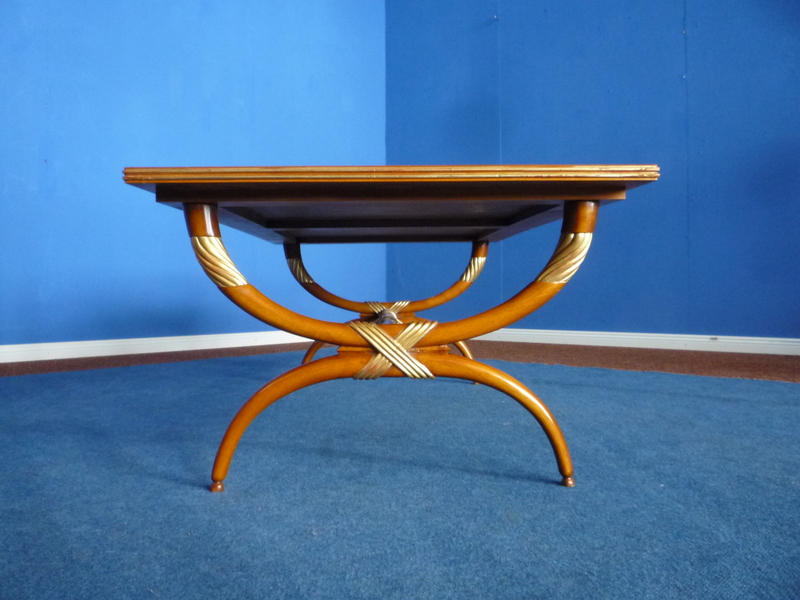 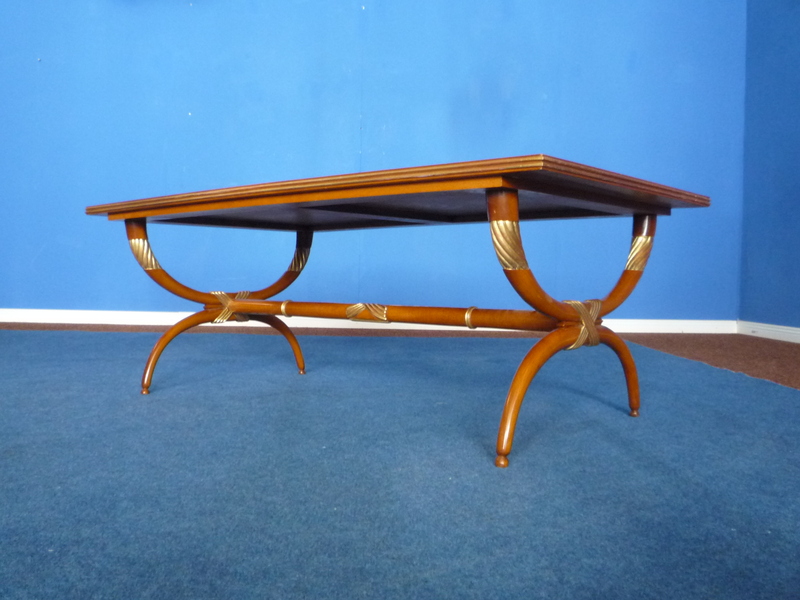 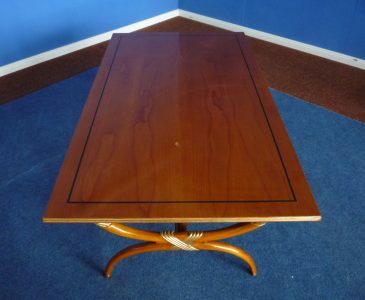 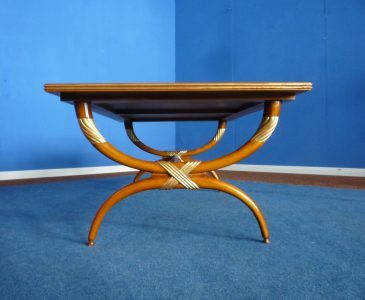 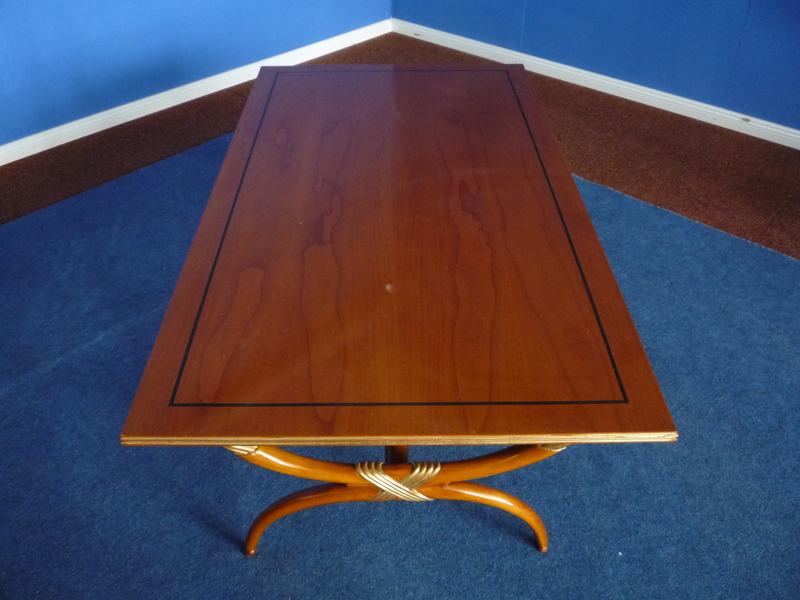 Exceptional coffee table from the fifties. 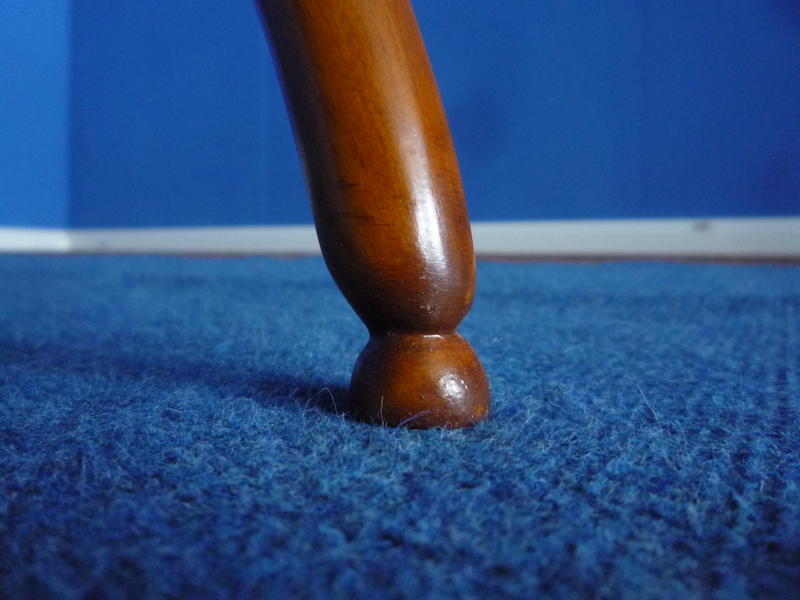 Playful design and high-quality processed. Massive church wood. 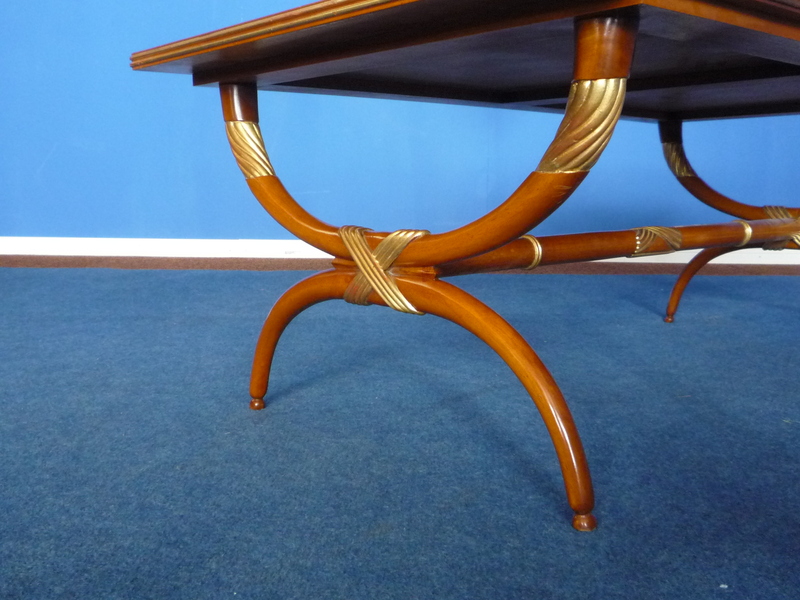 Table border and table frame was decorated with golden paint. 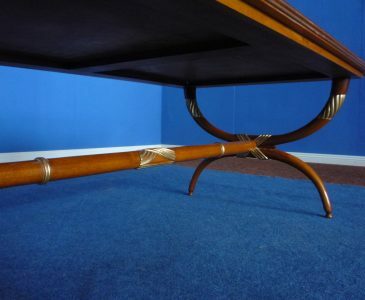 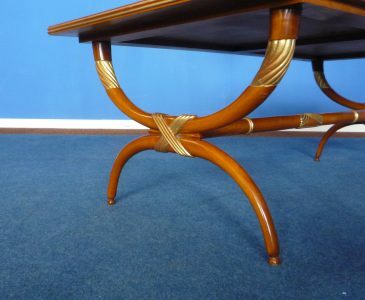 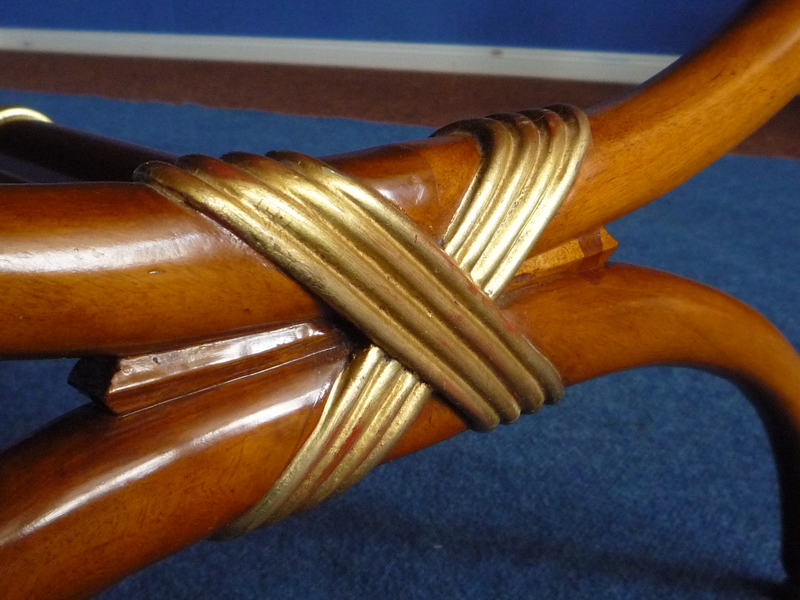 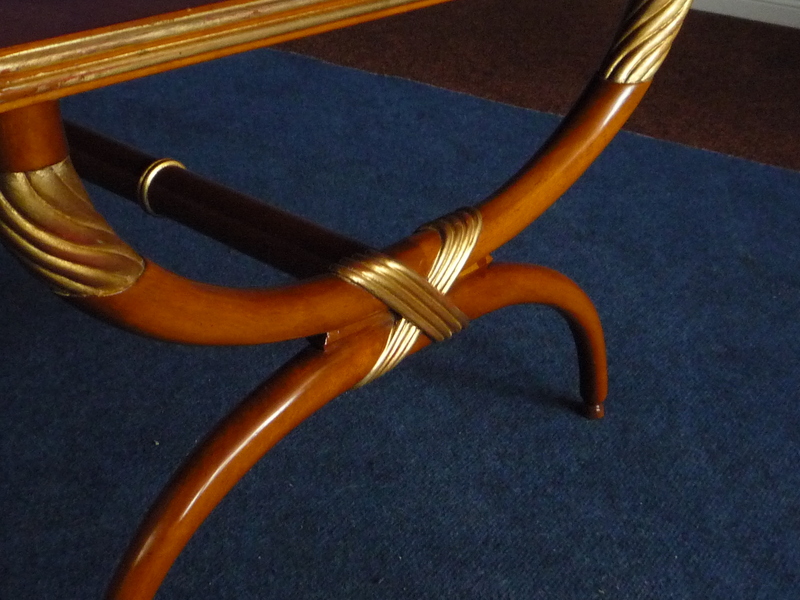 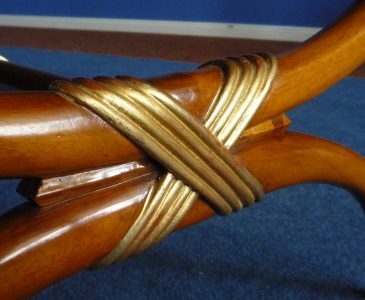 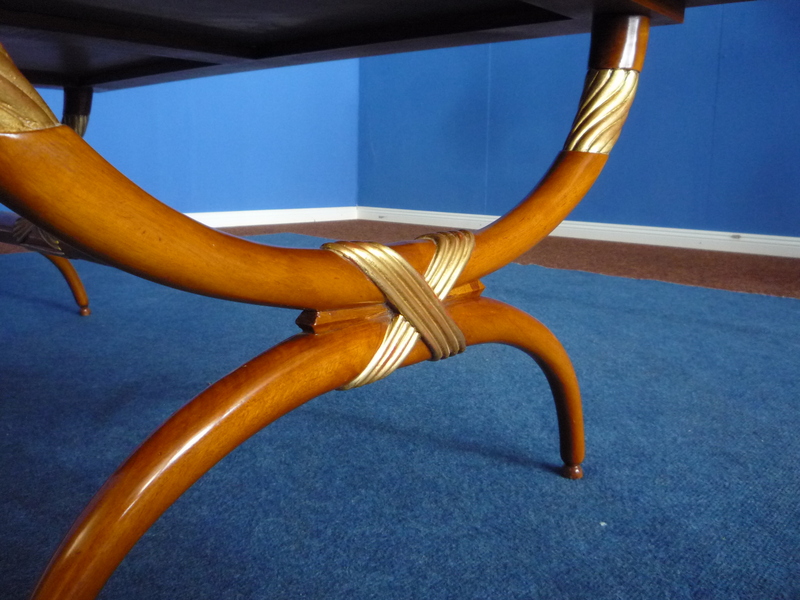 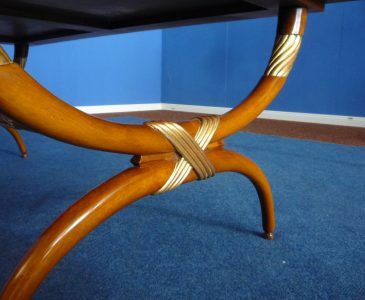 Please note the filigree table legs! 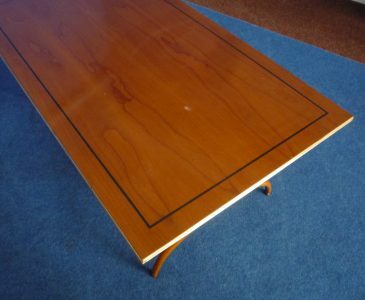 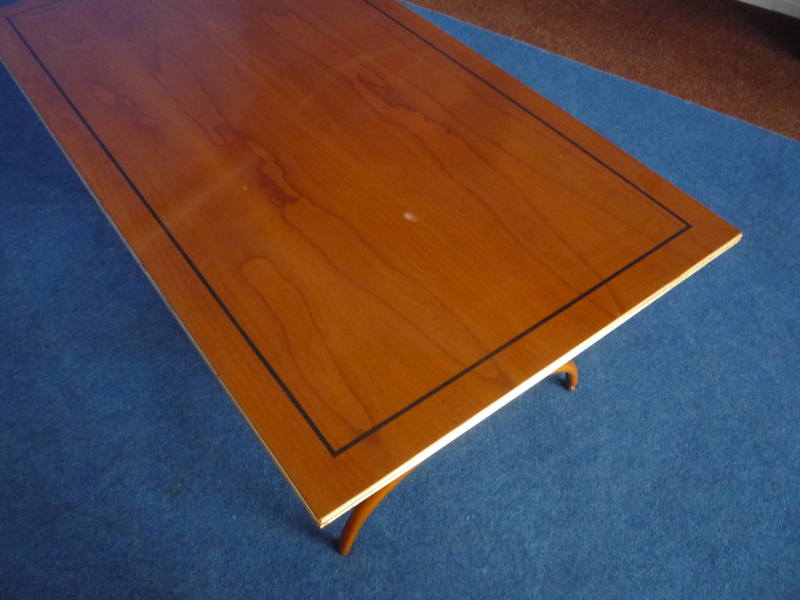 The coffee table is over 60 years old and is in good original condition. 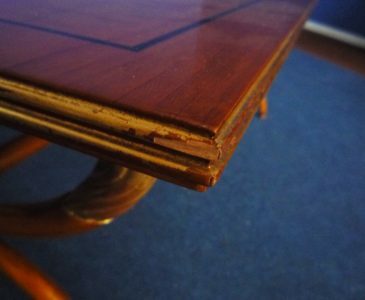 There is a rather small white shadow on the table top and there is a minor damage at the edge of the table towards the corner (see picture). Overall, the coffee table makes a positive overall impression. He is clean and stable.